The Milwaukee 18-volt platform is a supremely versatile tool line, and the hammer drills are no exception. With an exclusive reversible battery pack, these tools can tackle any job. They have all the durability and power of a corded model, but without a cumbersome cord, because they feature the V28 Lithium Ion Cordless Tool System -- with a battery that offers up to twice the runtime and 40 to 50 percent more power than a regular 18-volt battery pack at the same weight. And unlike NiCad batteries, these batteries are capable of maintaining their power level through their entire discharge cycle. This Milwaukee 0627-24 is part of the Lok-Tor 2 series, designed to deliver high torque, long run-time, and real durability and quality. It features an exclusive all-metal, single-sleeve ratcheting chuck with carbide jaws that provide high-grip torque for bits, and almost no slipping. The high-efficiency motor delivers up to 495 in./lbs. of torque, and it's made to work together with the integrated superior battery technology to provide truly long-lasting run-time. The 0627-24 is created with a patented reversible battery that lets the drill fit into tight areas, and this feature also optimizes the tool's balance when you're using it over your head. 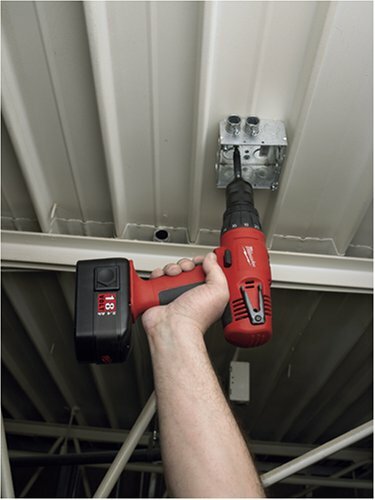 The soft grip ergonomic handle provides improved comfort and control, and the Clip-Lok belt clip frees up both hands for work if you need to set the hammer drill aside. This kit comes ready to work, with a full assortment of accessories and supplies. It includes an insert bit (no. 2 Phillips), one-hour NiCad AC charger, an 18-volt battery, the Clip-Lok belt clip, side handle, and carrying case. 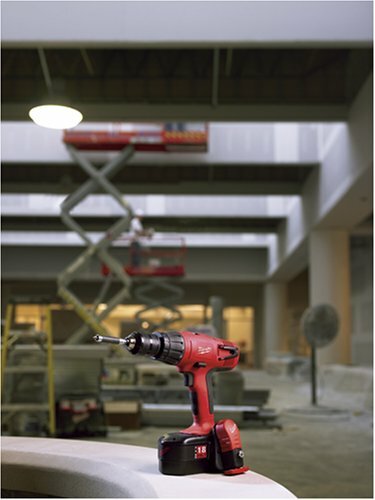 The 0627-24 is covered by Milwaukee's 5-year heavy-duty warranty. Milwaukee hammer drill, insert bit, one-hour NiCad AC charger, 18-volt battery, Clip-Lok belt clip, side handle, and carrying case. Have used this drill off and on for about a month. The power on this drill is second to none. 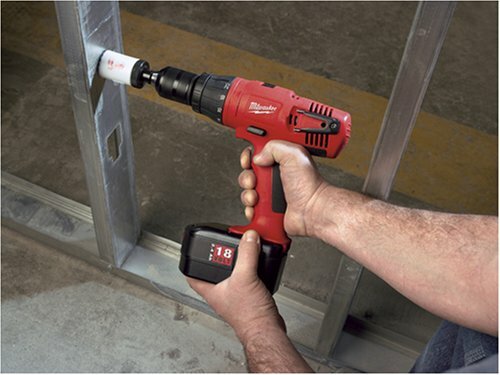 The reversibile battery pack is a dream come true while drilling over your head. You can't really believe it until you've tried it. As far as battery packs, I have yet to see any problems. Had a pack sitting for a month, threw it on the charger and within an hour it was ready. These packs do need alittle 'love' once and a while. Every month they should be put on the charger to keep fresh. As long as you follow the instructions for these packs, they seem fine. Ni-cad's are wierd batteries. Love them, they will love you. Plus, it's Milwaukee. Need I say more? As always, a great tool. 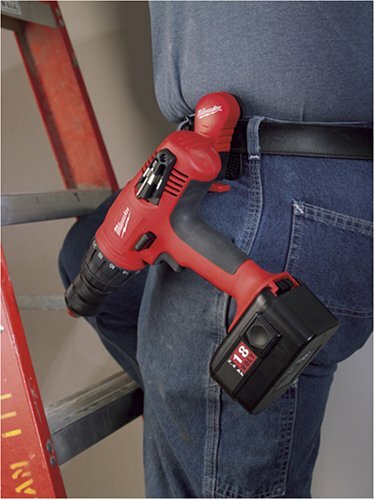 The tool belt clip is very handy when you need your hands yet you need the drill close by. The kwik loc chuck is fast and reliable. There is nothing to dislike with this one. Please be aware that the batteries that come with this product have a horrible reputation. They often fail within the first year of use. Replacing them is very expensive. I have called Old Milwaukee and they will not make good on this problem. The best course of action would be to avoid Old Milwaukee 18 volt products until they remedy the problem. I really don't want to write and be sour grapes, but this is not an isolated case. Do your research. Look at the comments from people buying their replacement batteries. It's not good new. 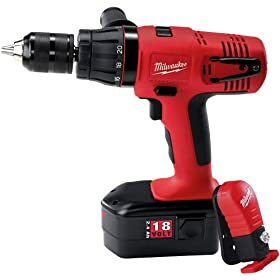 On the up side, if you are willing to frequently buy replacement batteries, then what you've got here is an very well made drill. Very nice hammer drill. Works great and has loads of power. A little heavy but that is to be expected for a cordless drill. Nice, well organized case as well. We bought my father-in-law one of these drills a few years ago and I've been borrowing it from him regularly. Based on quite a bit of use of that one, I liked it enough to come back and buy the exact same thing for myself--that should tell you how happy I've been with it! It has lots of power, the batteries charge quickly and last very well, and the hammer drill has worked just great for a number of projects I've done boring into brick and concrete. If you're not dying to spend an extra hundred bucks for the newest Lithium ion batteries then this model will probably be a good fit for you too. The build quality is still excellent, although I notice now that the drill and the charger are built in China, so I'm a bit worried about that, I haven't had the best luck with the quality that seems to be coming from there so far, but they are getting better. It still comes with a 5 year warranty so I've got my fingers crossed that getting a unit that's not made in the USA won't come back to bite me. The batteries are built in Japan, so I have good confidence in them. If you run into the problem of your battery not taking a charge, you should try the 9 volt battery trick, which worked great for me once before on my father-in-law's unit. If the battery gets discharged completely then apparently the charger doesn't sense any charge and won't begin to recharge it. By simply holding a 9 volt battery against the terminals of the drill battery (be careful to get the polarity right--the single lead is positive on the Milwaukee battery) for about 30 seconds you can impart just enough charge so that the charger will pick it up and recharge it fully again. Certainly try this before spending all the money to buy a replacement you might not need. 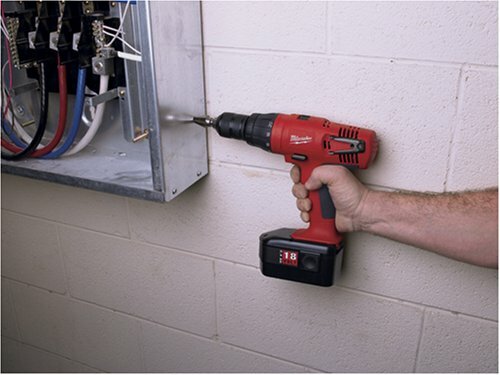 I've loved this drill even before I bought my own--5 stars! my drill I had before this was a 19.2 craftsman. not bad but I could stop with my hands at high torque. this milwaukee if I tryed the same with my hands again could hurt me. dropped the think so far a dozen times no problem at all. all the complaints about the batteries I have not experienced. milwaukee brand is my new power tool of choice by far!